A week ago, we set out for New Iberia, Louisiana on a photography mission – that of taking shots of various scenes to accompany poems in my new book, A Slow Moving Stream. Since that time we have done a mini-tour of most of the tourist spots in and around New Iberia, and Dr. Victoria Sullivan has taken most of the photos needed for this volume. However, the subject for one photo did elude us for a week, and today we finally located the subject for a poem entitled “The Kingdom”: an American alligator…or a Cajun alligator, that is… fresh from a habitat you readers will never guess from whence he came. As we aren’t watchers of the TV show, “Swamp People,” we hadn’t mastered the technique of locating the elusive ‘gators before setting out on this great hunt, but Dr. Sullivan was once a naturalist in the Everglades (about 45 years ago), so I felt confident that, if called upon, she might know how to wrestle with this armored reptile if we accidentally stepped on one that was sun-bathing. We set out on our first hunt to Lake Martin near Breaux Bridge, Louisiana, turning down a road that threw up huge clouds of white dust as we spun toward the lake. The weather was at a sultry 88-degree peak, and I sorta’ hoped that I wouldn’t have to exit the AC in the car to get a good look at a ‘gator taking a sun bath. We stirred up dust along the ‘gator trail for twenty minutes before I spied something looking like an oversized log in a lagoon covered with floating Salvinia. I envisioned what I’d tell the Acadian Ambulance workers when they showed up and found me in a tree overlooking the lagoon where the ‘gator was cleaning his teeth. 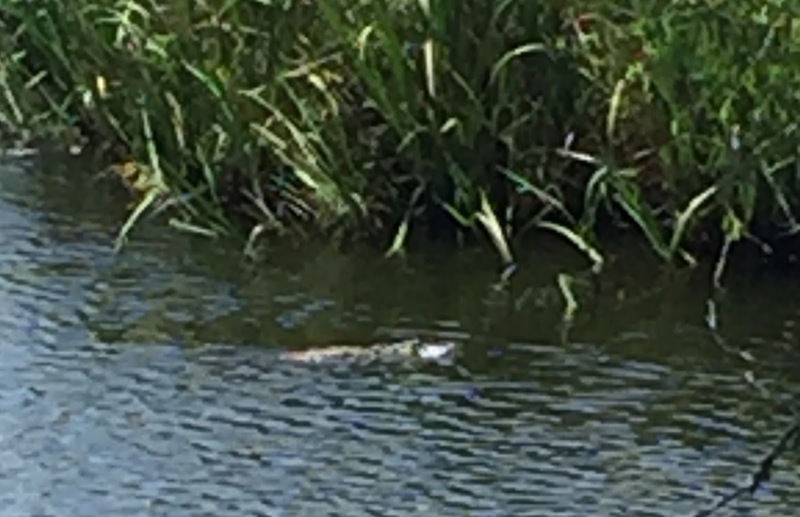 But my intrepid friend didn’t get into the water, and the ‘gator nosed away without lifting his head enough for a clear shot so I was spared a 911 call. We continued down the dusty road until I began one of my allergy coughing spells and decided to hunt apace at Avery Island, Louisiana. By then, the idea of exiting the car in the soaring heat and humidity had caused me to begin rethinking the photo shoot. Unfortunately, years ago someone told me that my biggest character trait was persistence, and I felt a little pull of disappointment when I considered turning back. Back in the 80’s when I first visited Avery Island, I had seen alligators almost swarming beneath the platform of Bird City on this island, and had shivered as I climbed the steps to the platform overlooking the nests of American egrets. Yesterday, as we began the climb to the top of the platform, I looked around the first step and not one ‘gator dozed in the murky water. At the top of the platform I looked down again and spied a cluster of four turtles on a log — but no ‘gators. After a half hour of staring into the sun and watching all the birds make their graceful landings to feed their young on the nesting platform, we spied one alligator nosing his way into a clump of rushes, but he was still too far away to photograph with any success. 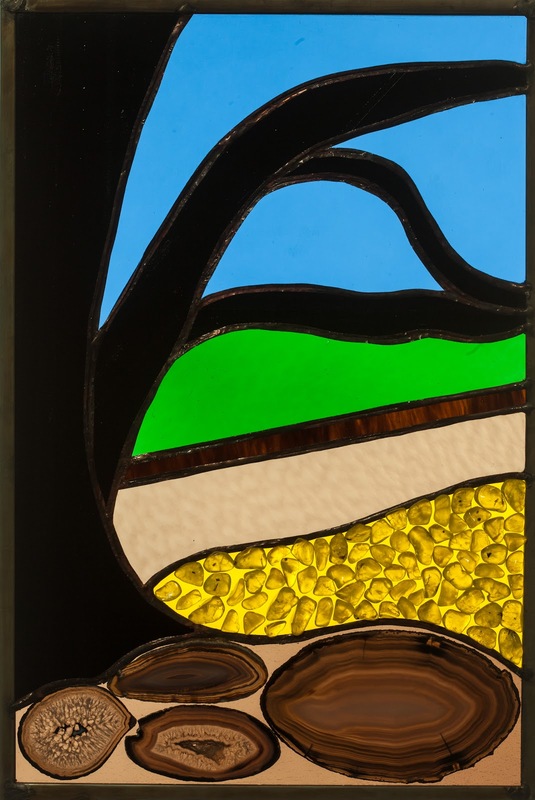 By that time, I had begun to experience something I hadn’t felt in the three months of spring I had spent on The Mountain at Sewanee, Tennessee – I had begun perspiring. We spent an afternoon tweaking the photos we had, trying to make a ‘gator rise out of the Salvinia large enough for a good picture, but it became so pixilated, we had to give up. This morning I got up at 6:30 with ‘gators on the brain again. Suddenly, the light dawned. Zoo of Acadiana!!! We telephoned Zoosiana, as it's called, and were told that they owned several American alligators. Within fifteen minutes we had joined a line of people holding the hands of little people and pushing strollers into the small zoo that is the answer to the question every parent in Acadiana asks come the week-end: “What will we do with them on Saturday.” We circled through a maze and came upon a small cabin within a fenced off area where three long, fat alligators lay dozing. Ten minutes later, we were spinning homeward, seven or eight photograph shots of Louisiana alligators in hand. “From Tennessee to Louisiana, $50 worth of admission fees and four tanks of gas later, we have a photo of something we might have found in the coulee behind the house here in New Iberia,” Dr. Sullivan quipped. “Yeah, but what happened to all the ‘gators that lived on 5,000 acres of lowland E.A. McIlhenny donated so they’d be protected?” she asked. For at least ten years, I’ve wanted to stop in Jackson, Mississippi en route to New Iberia, Louisiana from Sewanee, Tennessee just to tour the Eudora Welty House and Garden, and Monday we stopped at this National Historic Landmark on Pinehurst Street for a two-hour visit. 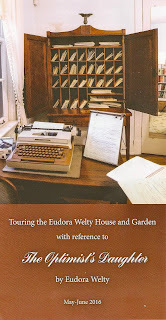 We toured at a time when the Eudora Welty Foundation and the Welty House and Garden, a museum of the Mississippi Department of Archives and History, honored Welty’s The Optimist’s Daughter, which was awarded the Pulitzer Prize for Fiction in 1973. I am re-reading The Optimist’s Daughter after touring the house and find references to the furnishings and mementoes in the Welty home, as well as allusions to the flowers in the beautiful three-level garden. A handsome brochure distributed by the Welty Education and Visitors Center contains descriptive lines from The Optimist’sDaughter that enhance the tour; e.g., Mrs. Welty’s bedroom: “…There was the Dickens all in a set, a shelf and a half full, old crimson bindings scorched and frayed and hanging in strips" (p. 118 in the Random House hardback edition of The Optimist’s Daughter). And In the sitting room: “She saw at once that nothing had happened to the books… “She dusted all of them and set them back in the same order.” You can almost hear Welty reading the passages in her soft Mississippi drawl, calling forth memories of family heirlooms and excerpts from the Welty family’s most prized possessions – books. Books occupy bookcases, are stacked on sofas and tables in all the rooms, 5,000 of them according to a total count made by archivists. An ambience of peace permeates the home, and the docent didn’t have to inform us that hospitality was the Welty family’s leitmotif. Stories about Welty that impressed me included anecdotes about her humility, something not often seen in authors (except perhaps the notable ones who’re more interested in the creative process than they are in awards). After Welty’s death, the Pulitzer Prize was found in a closet in the sitting room! Although she won many awards: four O.Henry Memorial Prizes, the Howells Medal from the American Academy of Arts and Letters, The American Book Award for Paperback Fiction, the PEN/Malamud Award, the Freedom Medal of Honor from presidents Carter and Reagan, and numerous lifetime achievement awards and honorary degrees from Tulane, Harvard, Yale, Emory, Smith College, etc., Welty did not display any of her numerous awards in her home, excepting the Raven Award for “Mystery Reader of the Year” from the Mystery Writers of America. She loved mysteries, and one of her closest friends was mystery writer Ross MacDonald, with whom she often corresponded. Within the Welty Education and Visitors Center, we also viewed the “Eudora Welty Other Places” photography exhibit, photographs shot by Welty in New York and New Orleans that were displayed and published in a catalog by the Mississippi State Historical Museum in 1995. Welty often wandered the streets of the French Quarter looking for photographic opportunities and subjects for numerous short stories about the Crescent City. I had seen some of the photographs she shot while working for the WPA that were displayed in the Hunter Museum exhibit at Chattanooga, Tennessee last year and loved the images of rural Mississippi that she captured. I discovered Welty in the 50’s while working at Louisiana State University and read Delta Wedding, The Golden Apples, The Ponder Heart, and The Bride of the Innisfallen, but when I read The Optimist’s Daughter in 1972, I knew why she had been awarded the Pulitzer Prize. 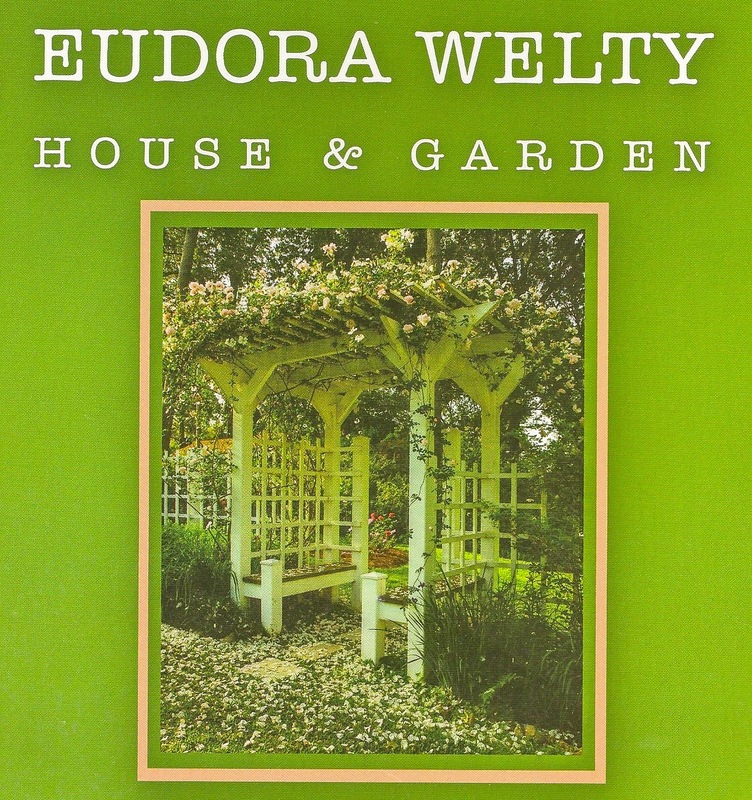 As the brochure from the Welty House and Garden reveals: “In The Optimist’s Daughter, Welty’s main character, Laurel, acknowledges that ‘the guilt of outliving those you love is justly to be borne,’ and Laurel discovers consolation in memory and is able to find that the ‘heart could empty and fill again.’” It was Welty’s fourth novel and contained a plethora of biographical detail. In 1984, she expanded this detail in a memoir entitled One Writer’s Beginnings. When we left Jackson, I carried a copy of Welty, Stories, Essays, and Memoir published by the Library of America and I’m still reading apace. 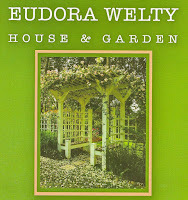 Tours of the Welty House and Garden are offered Tuesday-Friday and second Saturday mornings. The Eudora Welty Foundation is dedicated to ensuring the legacy of Eudora Welty through educational programs, recognition of reading and writing excellence, and support for the Welty House and Garden Collection at MDAH. If you’re traveling through Mississippi, this National Historic Landmark is worth veering off course to see, especially if you’re a fan of one of the South’s finest writers. 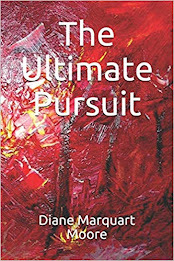 I conceived the idea for the poetic work last year while lunching on the deck of The Little Big Cup Restaurant in Arnaudville, Louisiana, watching the bayou flow by, with Vickie, Darrell, and Karen. Actually, the poetry has been hovering in my mind for a long time, and an account of one journey I made along the route of the Teche appeared in Tour Guide: Louisiana’s Beautiful Scenic Byways, Part I that Trent Angers commissioned me to write for Acadiana Profile magazine in 1996.